Astoria Place of Columbus is situated in a vibrant and diverse neighborhood on the banks of the Scioto River, just outside of downtown Columbus. We offer skilled nursing care, post-acute nursing services and short term respite care, provided by compassionate caregivers with warmth and attention. Astoria Place is a short distance from the beauty of the riverfront, and is the ideal location for health and healing in a comfortable environment. We are dedicated to providing skilled nursing care and expert therapy programs that are personalized to fit the needs of each one of our patients. We work together with patients and their families to develop a treatment plan that uses every method possible to provide the care and rehabilitation you deserve. Our patient centered approach ensures that we implement the best plan of care for you. Astoria Place is a premier healthcare center for skilled nursing care, post acute nursing services and short term respite care. Our team of licensed nurses are on call 24 hours a day, to keep you well and comfortable. Post acute nursing services provide all of the support needed to recover from a hospital stay. The intensive therapy program offers physical therapy, occupational therapy and speech therapy, seven days a week. We also offer an array of specialty medical services to support health and recovery. Many of these special treatments are available on site, including Dental, Optometry and Podiatry Services. The compassionate caregivers at Astoria Place know how to support patients and their families. We provide short term respite care for those caregivers who need a break from their duties. We also offer hospice services coordination, so patients can make informed decisions with peace of mind. It’s easy to relax at Astoria Place. We have two private patios and a relaxing lounge area that are perfect for visiting with family or socializing with friends. Our Events Calendar keeps you patients with outings and activities to stimulate the mind and encourage social interaction. The In- House Beauty Salon helps patients look and feel their best at all times. Good times are accompanied by good food, served with care and precision. Our delicious menu is varied and nutritious and can be adapted to accommodate specific dietary requests. Patients can stay connected with private phone lines in every room. We also provide wireless internet access through Astoria Place. Direct TV is also available. Nothing can help you get to know us better than firsthand experience. We invite you to tour our facility, meet our dedicated staff and see the outstanding services we provide. To schedule a tour, please complete the information form below so we can give you a personalized experience. Do you need short-term or long-term placement? 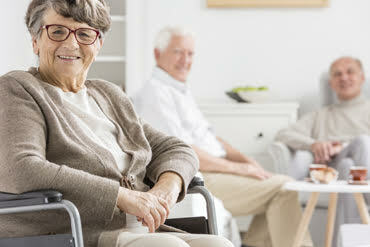 Is the potential resident currently or have they previously been in another nursing facility? If yes, which facility?